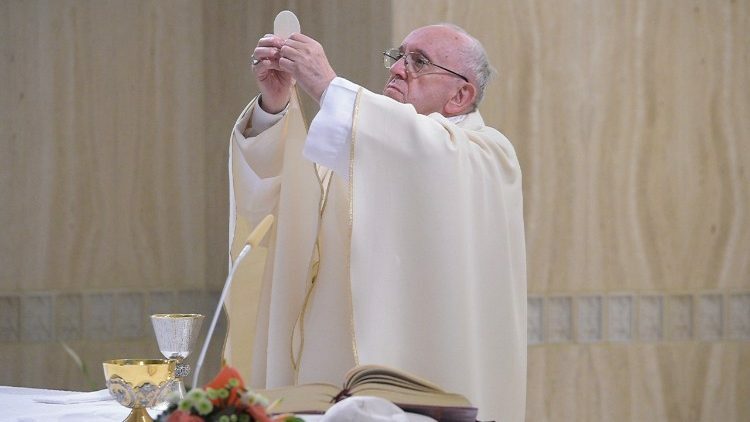 At the daily Mass at the Casa Santa Marta, Pope Francis describes Advent as a good opportunity to understand more fully the birth of Jesus in Bethlehem, and to cultivate a personal relationship with the Son of God. The Lord is born, the Redeemer who has come to save us. Yes, it is a celebration… [but] we always face the danger, we will always have within us the temptation to make Christmas mondane, worldly… When the celebration stops being about contemplation—a beautiful family celebration with Jesus at the centre—it begins to be a worldly celebration: all about shopping, presents, this and that… and the Lord remains there, forgotten. Even in our own life: yes, He is born, at Bethlehem, but [then what? ]… Advent is [a time] for purifying the memory of this time past, of that dimension.